I love reading them. My gateway blog was Elizabeth Ivie’s, which I started reading when I was pregnant with Maddie in 2011/2012. Elizabeth linked to Erstwhile Dear, and Erstwhile Dear linked to Homebook, and now we’re basically falling down the rabbit hole of mom blogs. They’re great. But I’ll tell you a secret. A really sad, very petty secret. Well, because one time I knew a mom blogger and she wasn’t very nice. That’s ridiculous, right? It’s totally ridiculous. So I’m overcoming the prejudice, and I’m here. This isn’t the first time something like that has happened. I’ve gone too many years without listening to The Beatles because I once knew someone who had every Beatles album and a terrible attitude. I stopped loving David Sedaris as devotedly as I once did because I met a really rude person at one of his readings. Mustaches have made me vaguely anxious ever since I was pulled over by a mustachioed police officer who yelled at me, and I haven’t been able to eat sushi because… Well, actually, I’ve just never liked sushi. But you get the idea. It’s time to stop the madness, I think. At the very least, it’s time to stop this particular brand of madness. It’s time to dust off a copy of something by David Sedaris (only, not Squirrel Seeks Chipmunk. I never was able to get into that one) and stop eschewing things for various dumb reasons. It’ll be a whole new zen thing. It’ll be good for me. 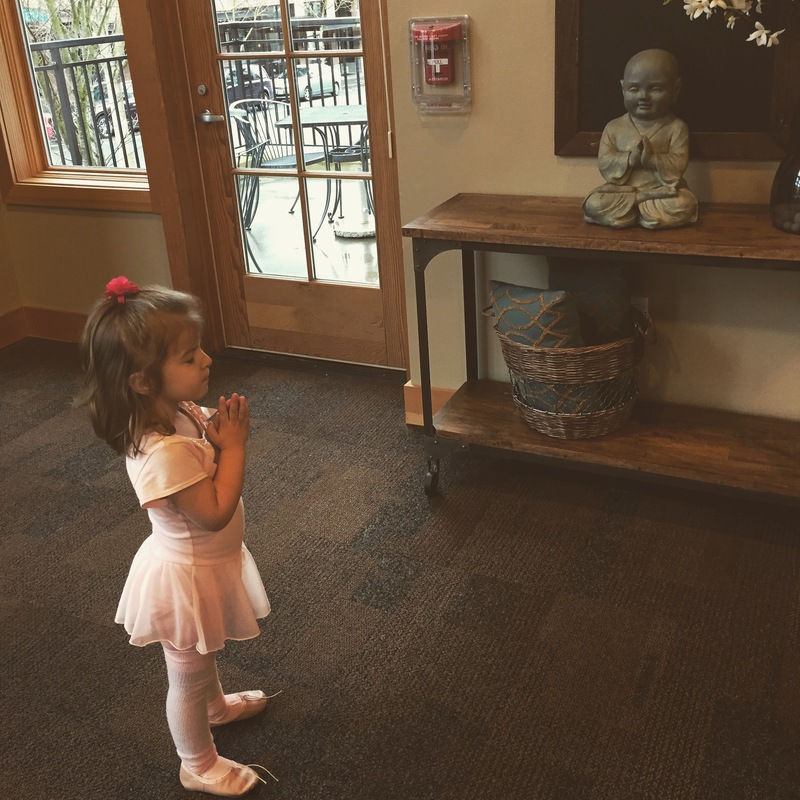 This is my toddler, Maddie, being zen.